(Bloomberg) -- Prime Minister Justin Trudeau has expelled his former attorney general from the Liberal caucus -- a risky bid to cauterize a scandal that has hammered the party’s popularity for the past two months. During a special meeting of lawmakers Tuesday night, Trudeau announced he had ejected both Jody Wilson-Raybould and her ally Jane Philpott, another former minister, from the Liberal caucus. Wilson-Raybould said in a tweet Trudeau had also barred her from seeking re-election this fall under the Liberal banner. The former attorney general, who had written lawmakers earlier Tuesday urging them to support her, has alleged she was pressured by Trudeau and others to end a legal case against a Montreal-based construction firm, SNC-Lavalin Group Inc. -- a saga that has dragged on since early February. Wilson-Raybould’s colleagues had been tight-lipped at first, but fractures have emerged with a steady drip of new statements coming from her and Philpott. It culminated Friday when Wilson-Raybould released an audio recording she’d secretly made of a call she had with the country’s top bureaucrat, Michael Wernick, who has since stepped down. The tone among Liberals changed swiftly. The controversy hinges on whether the government would direct prosecutors to issue a deferred prosecution agreement to end a corruption case against SNC and instead negotiate a fine. Doing so would allow the company to avoid a ban on receiving federal contracts. 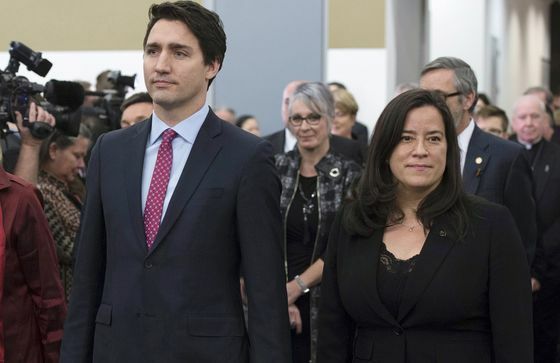 Wilson-Raybould has cast herself as a whistle-blower who defended the independence of the justice system, while Liberal lawmakers have increasingly viewed her statements as political friendly fire. Testimony and documentation made public so far indicate Wilson-Raybould didn’t want to intervene, but was urged to get a second legal opinion. She alleges that pressure amounts to interference in the justice system, though she says no laws were broken. Trudeau maintains he was trying to protect jobs at the company. In a statement, Philpott called her expulsion profoundly disheartening. "I did not initiate the crisis now facing the party or the Prime Minister. Nor did Jody Wilson-Raybould," she wrote. It’s been the most damaging scandal for Trudeau since he took office in 2015, costing the Canadian leader two ministers, a top bureaucrat and Gerald Butts, one of the prime minister’s former top aides. Six months ago, Trudeau was leading the opposition Conservatives by five percentage points; the Conservatives now lead Trudeau’s Liberals by four, according to a polling aggregator run by the Canadian Broadcasting Corp. 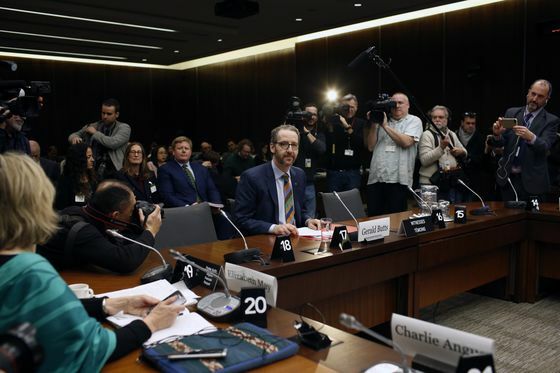 The latest trove of information came Tuesday from Butts, who submitted text messages between himself and Wilson-Raybould to a parliamentary committee that until recently had been examining the case. The text messages were about a cabinet-shuffle in January, when Wilson-Raybould was removed from the role of attorney general, a move she said was made because she refused to play ball on helping SNC; Butts has said that wasn’t the reason. The scandal has consumed the government, overshadowing the release last month of its annual budget, ahead of a federal election this fall. Some lawmakers had publicly advocated to keep Wilson-Raybould and Philpott in caucus, but a growing number had called for the former’s removal in particular. The recorded call happened in December. In it, Wernick repeatedly raises the issue of a deferred prosecution agreement but also says Trudeau doesn’t want to break the law. Wilson-Raybould, who said this was the only call she has recorded without telling the other participant, alleged it was interference. It was nonetheless a lightning rod for many lawmakers. “Then to play these kinds of games, and almost entrapment to the clerk of the privy council? I’ve got no respect for someone like that,” longtime Liberal lawmaker Wayne Easter told the CBC on Monday. He said he feels “used” by Wilson-Raybould.